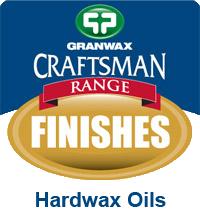 Granwax Wood Floor Dyes are solvent-based dyes specifically created to offer exceptional depth of colour on all interior wood surfaces. The dyes are extremely easy to apply and are fast drying. 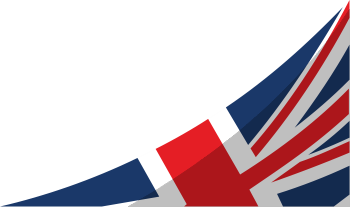 In addition to our stock colours, we may be able to offer 'custom colours' for special projects. 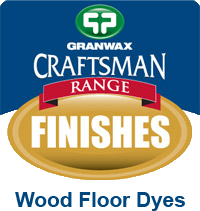 Granwax Wood Floor Dye is a solvent based wood dye offering exceptional depth of colour on all interior wood surfaces. It is easy to apply, fast drying, and can be used prior to coating with all Granwax water-based and white spirit based finishes (not suitable for use with Granguard or Granstone). 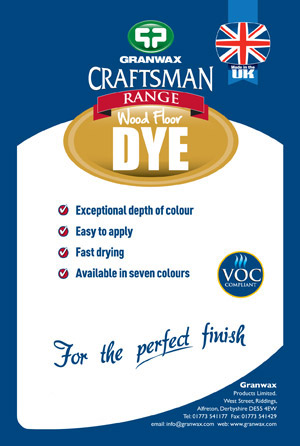 It is recommended for use on wood floors, but may also be used on other wood surfaces and products, such as doors, furniture and panelling. 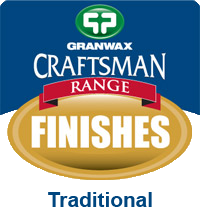 Granwax Wood Floor Dye is available in seven colours: Rich Mahogany, Light Oak, Medium Oak, Dark Oak, Jacobean Oak, Teak, and Ebony. Note: Always trial product before full use to ensure acceptable results. Be aware that variations in wood and finishing techniques will alter the final appearance. The application of additional coats will deepen the existing colour/shade. 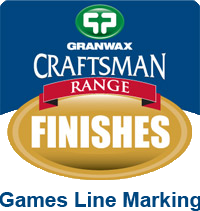 Do not mix dyes with finishes.